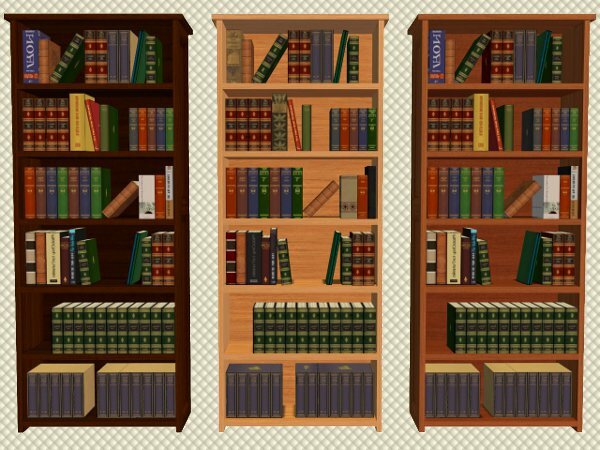 It occurred to me, although I have been recolouring thing to match the 'Craftmeister Book Nook' and in AL wood colours, that I had never recoloured the Book Nook in the AL colours. So, here they are. 3 Apartment Life wood recolours of the base game 'Craftmeister Book Nook', which also recolours the university 'Dahlen Library Bookcase'. Wonderful recols as always, Shell! I just refurnished both my self-Sim's living-room and her bookstore, so this is perfect timing. And IMO, Lee's Dahlen add-ons (slots! slots everywhere!) are the the best thing since sliced Sim bread. 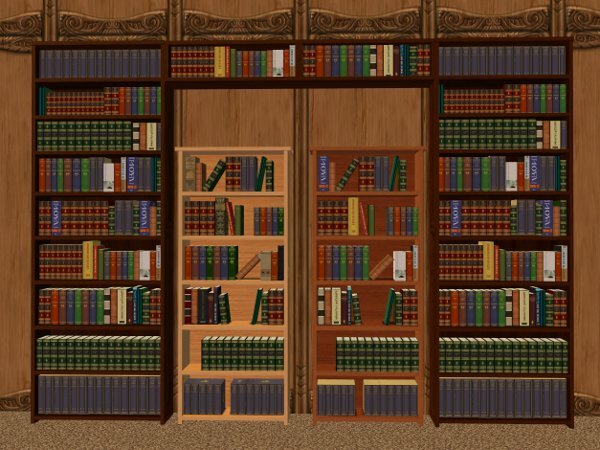 I want those bookcases IRL! Woow. Yeah, this one really 'connects the dots', in a manner of speaking Thanks, Shell.